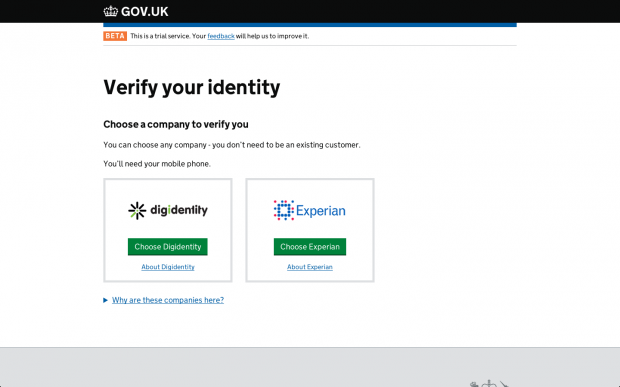 We’ve reached another important milestone this week on the identity assurance programme - the second certified company (or 'identity provider') has joined the GOV.UK Verify public beta. Experian took part in our private beta from February to October and was the first to join the public beta in October. This week Digidentity has come on board with its service. GOV.UK Verify is now able to start offering a choice of organisations, each with different methods and approaches to meeting the same level of confidence that it’s really you. We have contracts with five certified companies in total - the remaining three (Mydex, The Post Office and Verizon) will join the public beta when they’re each ready.